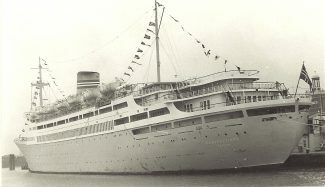 BERGENSFJORD was built in 1956 for the Norwegian America Line. 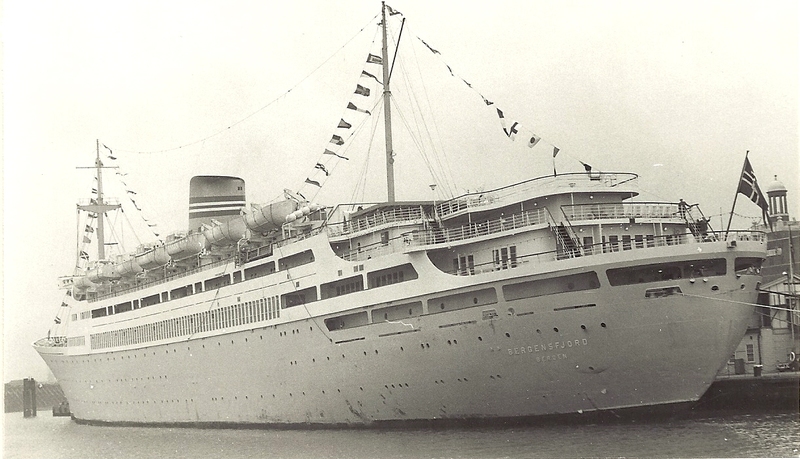 She became the DE GRASSE of the French Line in 1971. Sold in 1973 and became RASA SAYANG. After a fire she sank off the Greek coast in 1980.